Home » » How To Use Xiaomi Mi Flash Tool? Installing Fastboot ROM Using this tool is quite simple. Just follow some the below steps to make it happen. Make sure that you have installed Mi Flash tool on your Windows PC. 1. Download Stock Firmware(Fastboot ROM) of your Xiaomi device from that page. 2. Extract the downloaded firmware in your computer. 3. Also, Make sure that you have installed Xiaomi USB Driver on your PC. If you didn’t then please install them from that link. 4. Now, Boot your device into Fastboot mode. To do this Switch off your Xiaomi Phone. Now, Press Power On button + Volume Down button for few seconds until it boot into Fastboot Mode. 5. After booting into Fastboot Mode you will see following screen with Mi Bunny. 6. Connect your device to computer using Micro USB Cable. Windows will automatically installed the required USB Drivers. 7. Now, Open Xiaomi Mi Flash tool from the Desktop or Start Menu. 8. 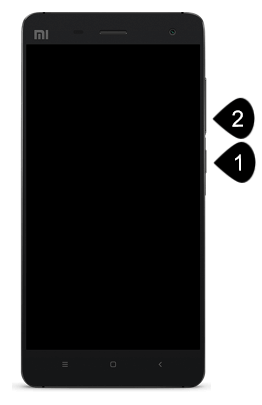 From the screen Select the unzipped Fastboot ROM folder. Use the “Select” button to locate the folder of that Stock Firmware of your device. 9. Press “Refresh” button to check whether your device is connected or not. If it shows the device then you are ready to go further. 10. Now, From bottom choose one any option from them. To know there function refers above. I have explained the function of each of this command. 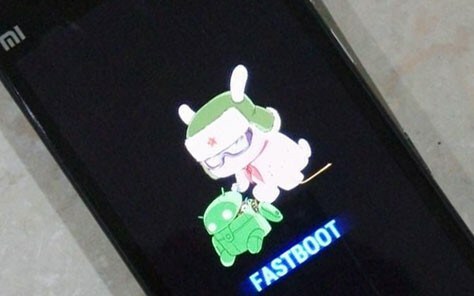 Press Flash button to Flash MIUI Fastboot ROM on your Xiaomi Smartphone. 11. When the flashing process completes you will get Success message on Flash tool screen. o, This was the simplest Guide to Use Xiaomi Mi Flash tool to flash Fastboot ROMs on MIUI Devices running on Snapdragon processor. You can check out Video guide for more info & can follow instruction stepwise. Video Guide to Use Xiaomi Flash Tool? Here is the video guide through which you can install fresh new MIUI Fastboot ROM through fastboot mode or using EDL Mode. The method is very easy you don’t need to be Professional for this. Also, You can comment down below if you are getting any type of error while using this tool.